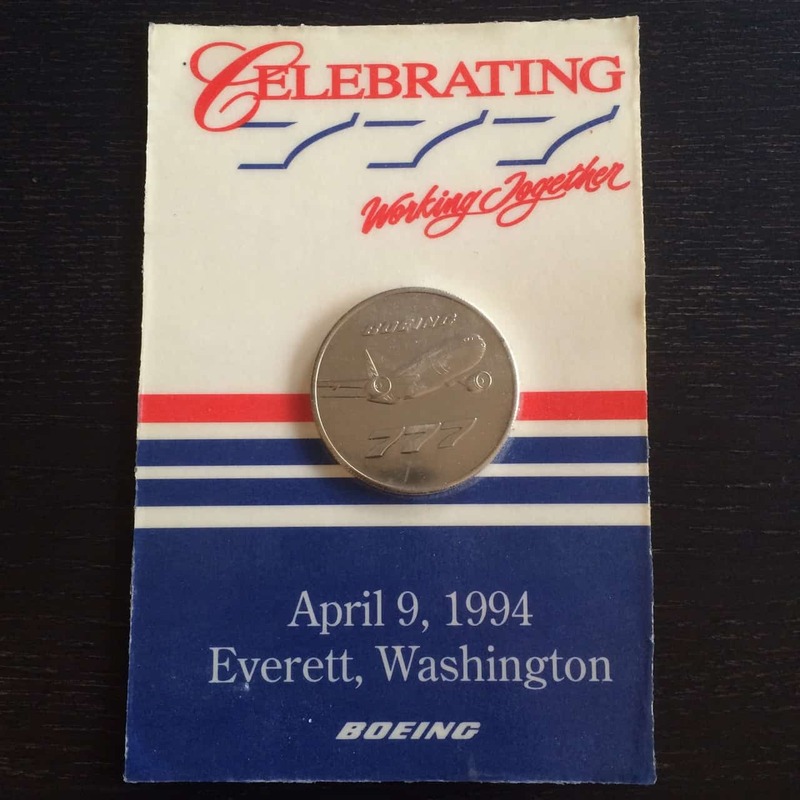 I was going through a bunch of my old stuff today and found some fun Boeing 777 memorabilia from the launch in 1994. Hard to believe the 777 is almost 21 years old! 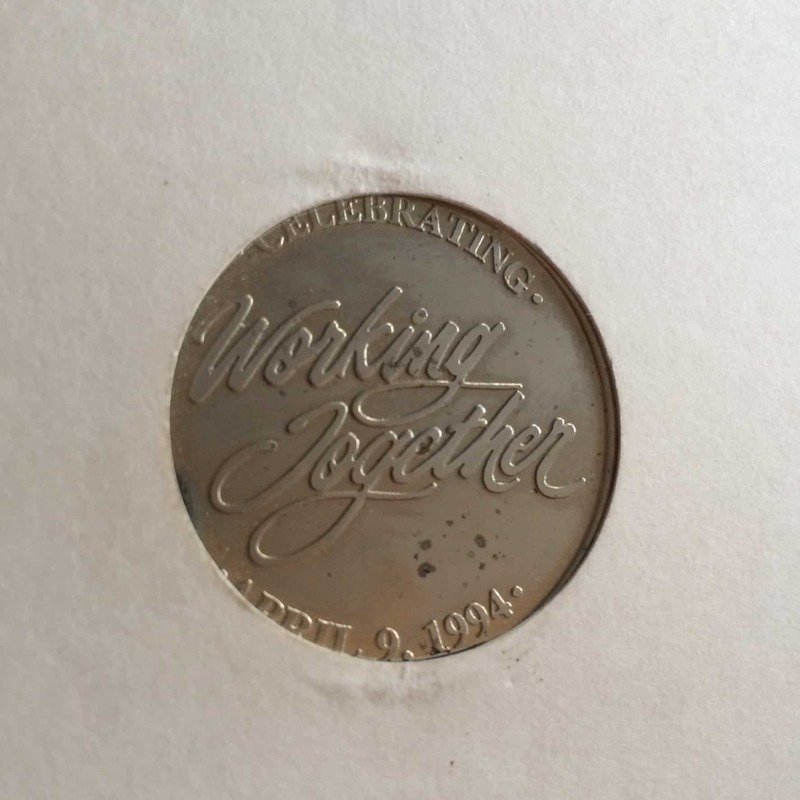 First item is a sealed commemorative coin from the first 777 roll out on April 9, 1994. 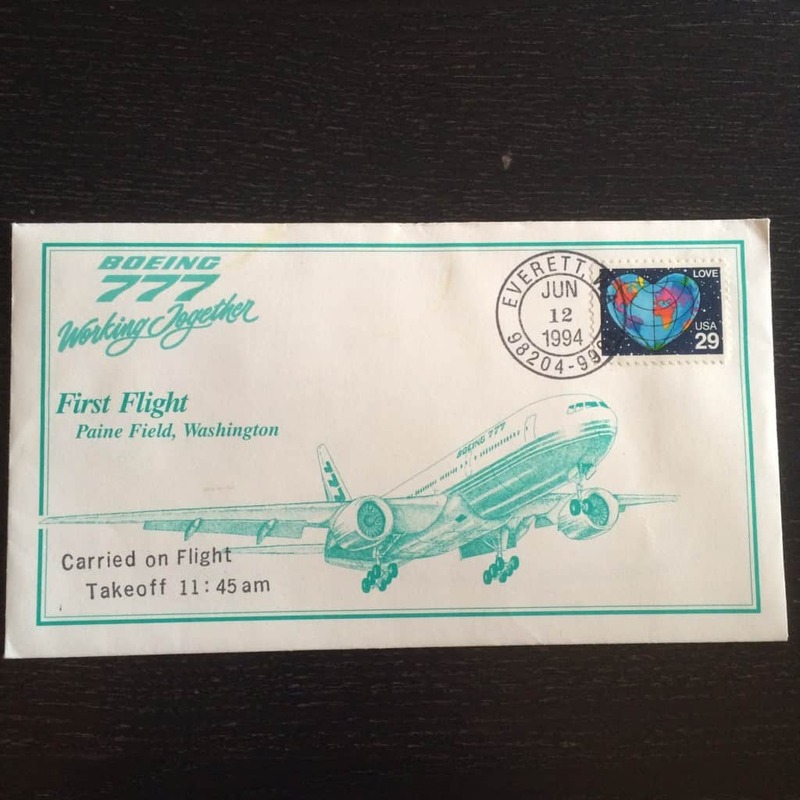 The second item is an envelope that was carried on the first 777 flight on June 12, 1994, piloted by John E. Cashman. 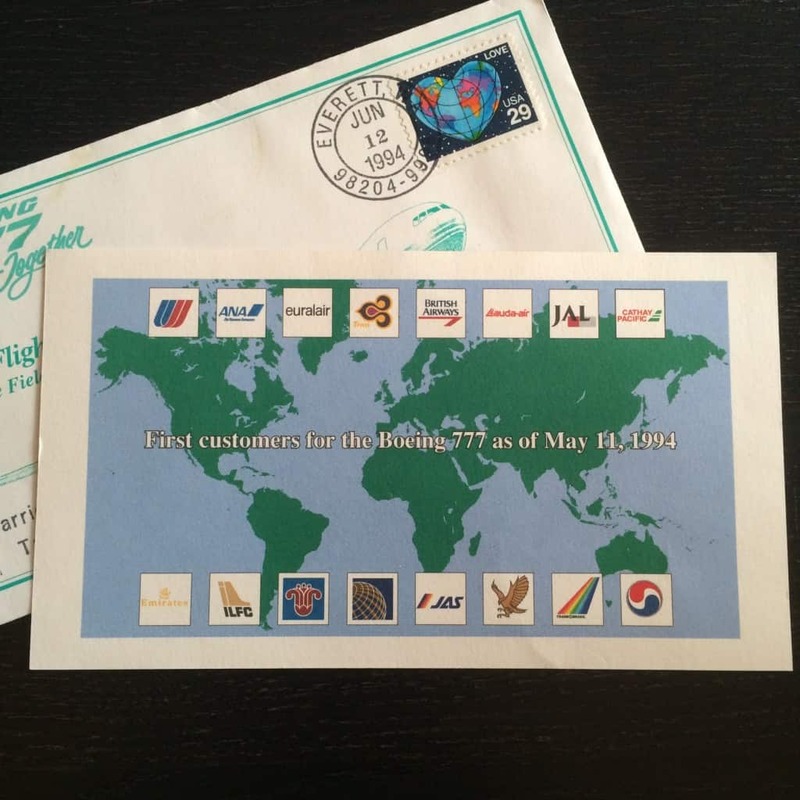 Inside is an information card that lists the 16 airlines with orders at time of initial flight. It’s fun to see the 1994 airline logos (and to be reminded of the price of a postage stamp). 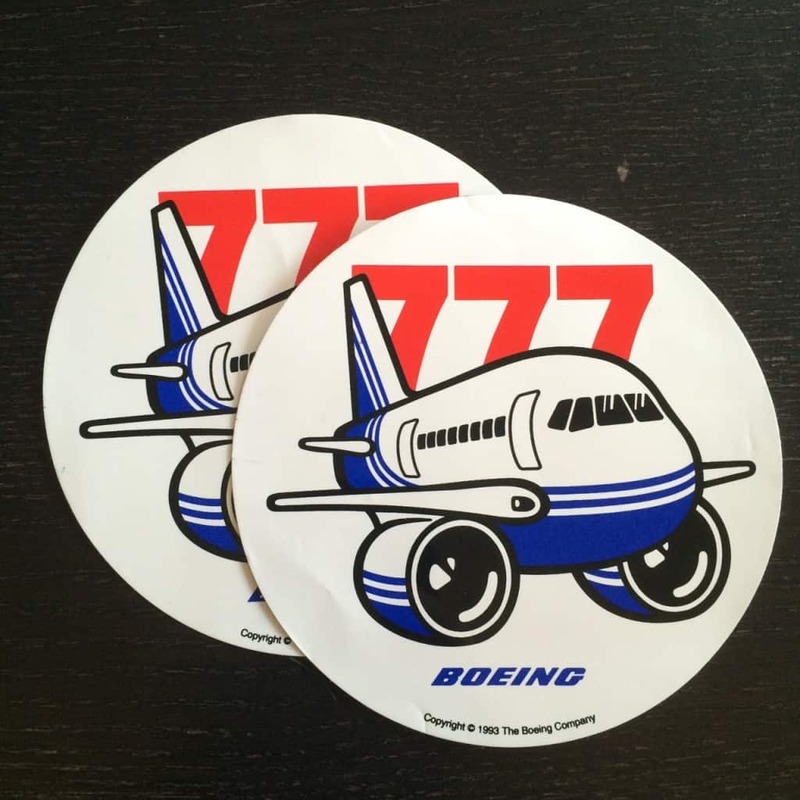 Finally I have two 777 stickers; with the cartoon plane I’m guessing these were aimed at children. If you are interested in winning some of this swag, I’ll be giving one of the stickers away to my Twitter followers in the next few days.